Ofgem Approved Meters The MT172 CT three phase electronic meters are designed for electric energy measurement and registration in three phase four-wire networks and comes complete with internal time switch. 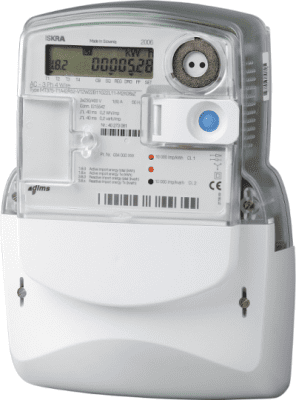 Measuring and technical characteristics of the meters comply with the IEC 62052-11 and IEC 62053-21 (IEC 61036) international standards for electronic active energy meters, class 1 or 2. The meters are designed and manufactured in compliance with the standards and ISO 9001.